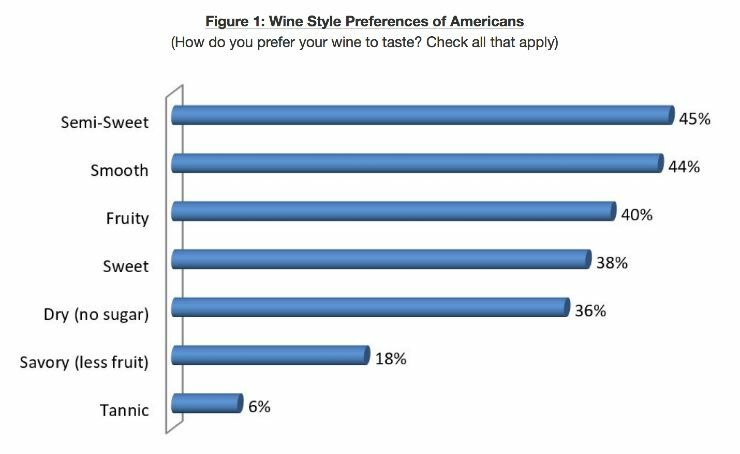 Blogger W. Blake Gray, at www.blog.wblakegray.com, recently wrote about this study and interviewed the Dr. Liz Thach MW who spoke about the American preference for sweet wines. She believes that small wineries should think about offering sweet as well as dry wines. East Coast wineries are already doing this. Remember the popularity of White Zinfandel! 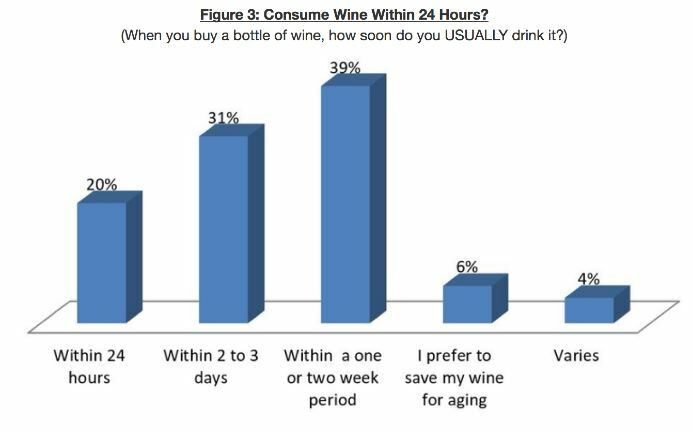 Another interesting outcome of this study was consumer’s habit of consuming wine soon after purchase. 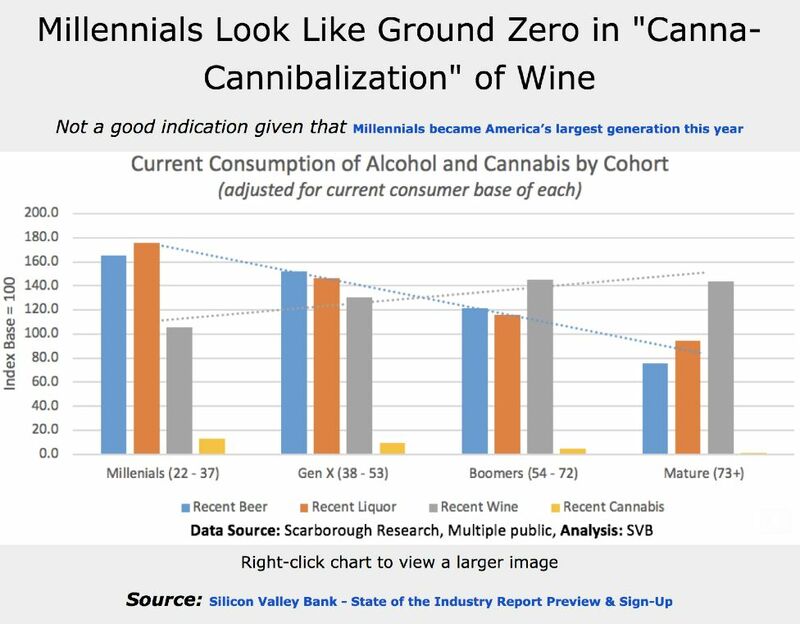 Very few of those polled prefer to age their wines. Monterey Wines Conjunctive Labeling in Effect January 1, 2019 Starting January1, 2019, all wines labeled with an AVA located entirely within Monterey County, must also include the term “Monterey County” on the label. This practice is known as conjunctive labeling in the wine industry. This type of labeling results in a greater levels of awareness of a wine region and bring more value to the local wine industry and other industries aligned with brand Monterey. Monterey County grows 7% of the wine grapes in California, cultivating approximately 46,000 acres of wine grapes (similar in size to Napa Valley’s cultivated acreage). Monterey Wine Country has nine AVAs including Arroyo Seco, Carmel Valley, Chalone, Hames Valley, Monterey, San Antonio Valley, San Bernabe, Santa Lucia Highlands and San Lucas. For more information, visit www.MontereyWines.org/labeling. Hangover Cure Book Hangover cures have been written about for centuries. 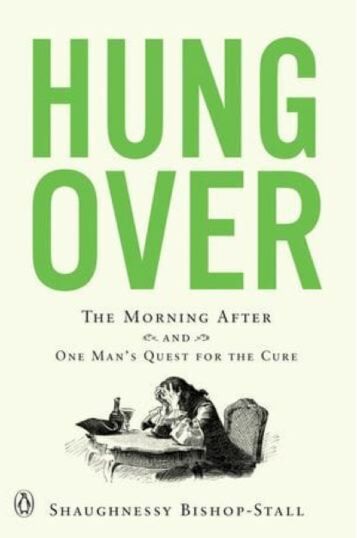 Author Shaughnessy Bishop-Stall has been studying the subject of hangovers for the past decade and has published a book, Hungover: The Morning After and One Man’s Quest for the Cure. just before the 2018 holidays. He conducted considerable research and arrived at one cure that includes a combination of multiple capsules containing amino acids and vitamins after drinking and before sleep. For specifics, you will need to read the book. I don’t think a cure for a hangover is a personal necessity for me now since over the years I have come to avoid copious alcohol consumption or binge drinking. From a doctor’s point of view who has studied the effects of binge drinking, I believe it is a serious health risk. But for those that can’t resist a fling with alcohol or face the possibility of a hangover, this book may be of value to you. I can’t vouch for the book’s cure since I have never plan to have a need to try it. How to Best Clean Wine Stems I read recently about an effective trick to cleaning glassware at www.mymagazine.us. Those annoying smudges and water spots on your wine glasses can be cleaned using a large basket coffee filter. Splash each glass with a small amount of water and polish using the filter. The filter leaves no lint or paper residue. One can also use the coffee filter paper to remove any cork or wax particles in the wine by pouring the wine through the filter. Joseph Swan Vineyards Winemaker Dinner This special dinner honors the 50th anniversary of the legendary Joseph Swan Vineyard and will be held at John Ash Vintners Inn in Santa Rosa on Thursday, January 24, 2019. Winemaker Rod Berglund will be on hand. Eight wines have been selected by Rod and Executive Chef Tom Schmidt. Rod is celebrating his 40th vintage as a winemaker in 2018 and 31 years at the helm of Swan Vineyards. The original mother block of the Swan “clone” at Joseph Swan Vineyards was planted in 1969 and is one of the oldest producing Pinot Noir vineyards in Sonoma County. Tickets are $150 all inclusive. RSVP to rameral@vintnersinn.com. Reminder: 2019 Wine & Health Summit Physicians, wine professionals and consumers with an interest in wine and health are invited to attend on May 4-7, 2019 at UC Davis. CME credits are available for the conference. Visit www.renaudsociety.com. 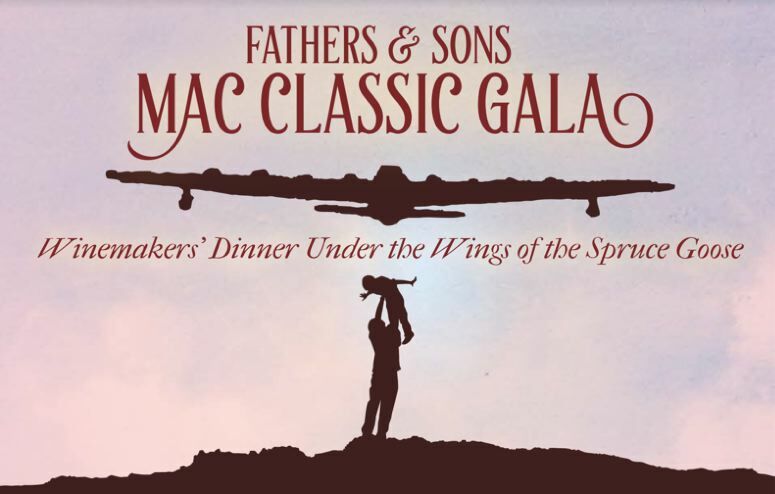 Father & Sons MAC Classic Gala Featuring The Wrights & The Etzels On Saturday, February 9, 2019, there will be a winemaker’s dinner under the wings of the Spruce Goose at the Evergreen Aviation Museum celebrating Oregon wine industry roots featuring winemaking fathers and sons. Honorees are Ken Wright of Ken Wright Cellars, Cody Wright of Purple Hands, Michael G. Etzel of Beaux Freres, and Mikey D. Etzel of Coattails Wines. McMinnville Wine & Food Classic’s Wine Competition Best of Show will be revealed. Tickets are $200 per seat or $1,500 for a table of 8 with all profits benefitting Children’s Education at St. James Catholic School. Visit www.macclassic.org/ mac-classic-gala. Insight Into Jackson Family Wines Shanken News Daily published Part 1 of an interview with Rick Tigner, CEO of Jackson Family Wines: www.portal.mshanken.com/ vm2/5facba1693e960a6/25682/44cd5f8e77a537ef58a5d1efeef5fa7b/25682. Jackson Family Wines now operates more than 40 wineries worldwide with a total of 6 million cases in depletions. All of the Jackson Family wineries operate independently and use their own local expertise. The Oregon lineup includes Zena Crown Vineyards, Gran Moraine, Penner-Ash and WillaKenzie, as well as La Crema and Siduri that produce some Oregon wines. the company’s McMinnville winery opened in 2018. La Crema is one of the Jackson Family’s most popular brands, expanding by nearly 70% since 2010.